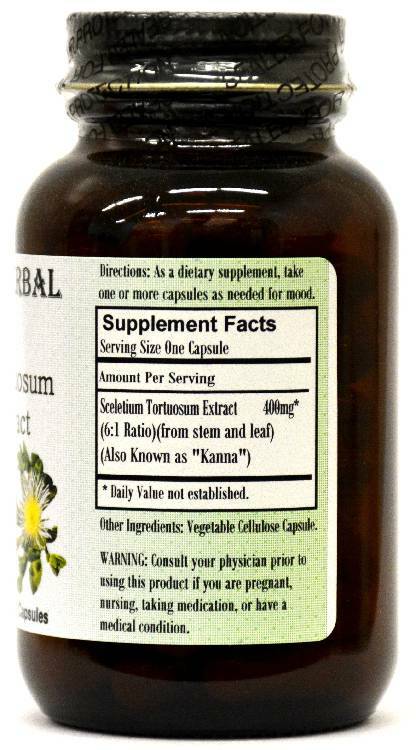 Barlowe's Herbal Elixirs now offers Kanna-Calm 6:1 Herbal Adaptogen. It may help to elevate mood, and to decrease anxiety and stress. Bottled in Glass! No Stearates! No Fillers! No Junk! 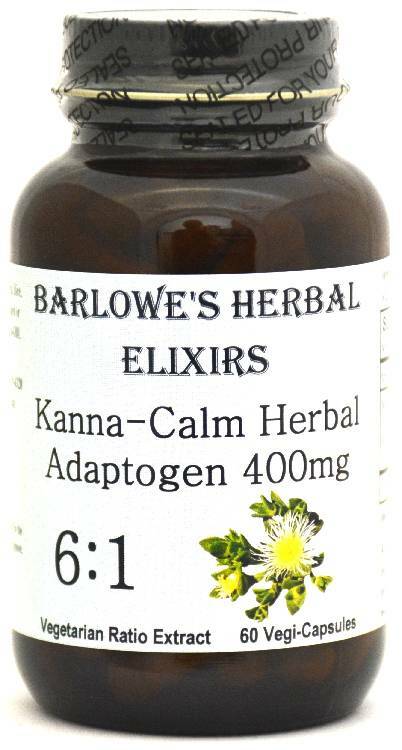 Barlowe's Herbal Elixirs now offers Kanna-Calm 6:1 Herbal Adaptogen. It may help to elevate mood, and to decrease anxiety and stress. 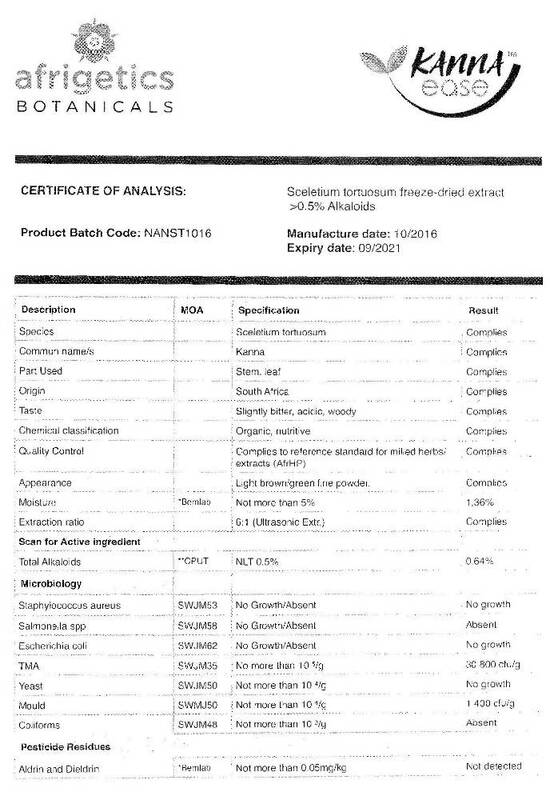 STEARATE FREE!The Certificate of Analysis (COA) for this particular batch is shown above. Bottled in Glass! No Stearates! No Fillers! No Junk! Although South African natives utilized it long before, the first written records regarding Kanna date back to 1662. In small dosages, Kanna is still used in South African villages as a treatment of colic in infants. It is generally used to elevate mood, to combat anxiety, and to lessen irritability in menopause. Caution: This product is generally safe, but it should be utilized with care. Do not take heavy dosages when operating machinery. This product is for dietary use. Persons taking any psychiatric drugs (including anti-anxiety drugs, sedatives, hypnotics, anti-depressants and anti-psychotics) or any cardiac medications, are advised not to take this product. If unexpected side-effects occur, discontinue use immediately! Side-effects may include mild headache, slight nausea, or insomnia. For more information, contact Barlowe at BarlowesHerbalElixirs.com. The above statements have not been evaluated by the Food and Drug Administration (FDA). This product is not intended to diagnose, treat, cure, or prevent any disease. Directions For Use: Take one capsule without food as needed, generally either once or twice a day. For some people, dosage may need to be increased as results and usage amounts vary based on body type and weight.